The entirely of the Buddhist mindstream, including all schools of its thought, have directly or implicity dealt with the subject of time as a casual factor in perpetuating suffering and emphasised the need to bring about a change in the mindstream to end psychological time. 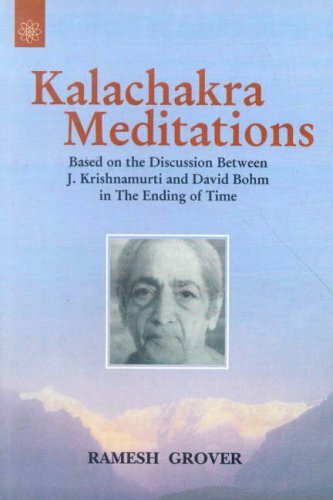 J. Krishnamurti, in all his teachings, has always talked of the urgency in attending to and coming upon an understanding of time as the core element of the factor of thought and has tried to make one come upon a perception of time on the element of ignorance. In that there is a fundamental shift from a movement within the method approach to an approach which consists of all methods to be hazardous. The present work is based upon an actual meditative processing of the author's memory recall, and will be of use to others in keeping a watch, attending to what their mind preceives and reaching out to an understanding of the mischief of thought in perpetuating the delusion of 'I'. <br /><br /> It is as if one is walking alongside the Buddha and seeing something totally different, that which otherwise may not have come within the comprehensive vision of the author without the meditative presence of the other. Ramesh Grover, born in Lahore in 1933 retired from the civil services after an illustrious career spanning about 34 years. He has written extensively on many aspects of life from a Buddhist perspective and was President of the Maitreya Project, Bodh Gaya under spiritual guidance of Lhama Thubtem Zopa Rinpoche.